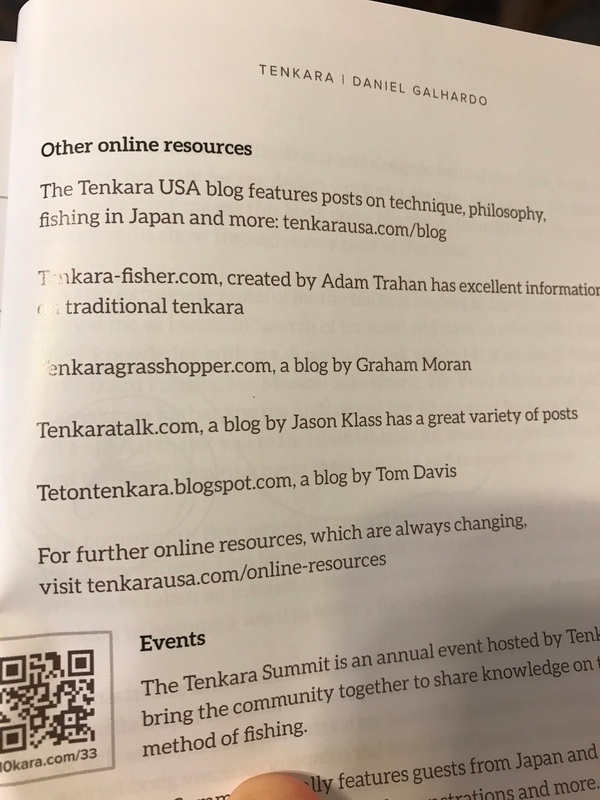 Teton Tenkara: The Book! -- Congratulations, Daniel! The Book! -- Congratulations, Daniel! 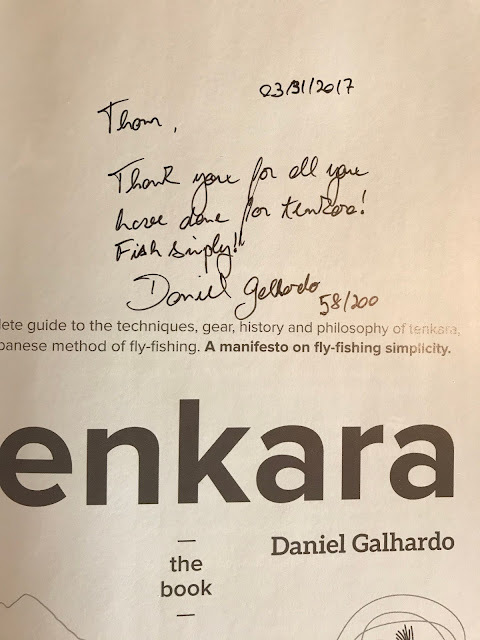 I'm sure that most all my readers, if not completely all, have ordered and have patiently been waiting for their copy of Daniel Galhardo's book on tenkara. Well, I received mine the other day, but I was out of town. I arrived home to open it today. What a joy! I'm not going to say much about the book, other than it is a wonderful work of art -- a true joy to behold and to read. This should come as no surprise, as everything I have ever bought or used from Tenkara USA has been very well designed and executed. This book is no exception. The book, "Tenkara", is 211 pages of tenkara information -- from lore, to personal journal, to equipment and gear, techniques and philosophy. I'm not the first to buy just any book, but this is one book that I really wanted to have. I met Daniel years ago at the Salt Lake City Tenkara Summit and I was impressed with how knowledgable, friendly, and personable he was. He was very free with his knowledge, never seemly unapproachable, and always made me feel like I could be a part of the tenkara revolution. I haven't always agreed with some of his philosophy, but that's not because of him, it was because of me. But the more I have grown in practicing tenkara, the more I have come to appreciate his thoughts, methods and philosophy. So, with that, if you haven't already ordered the book, I would highly recommend that you do. 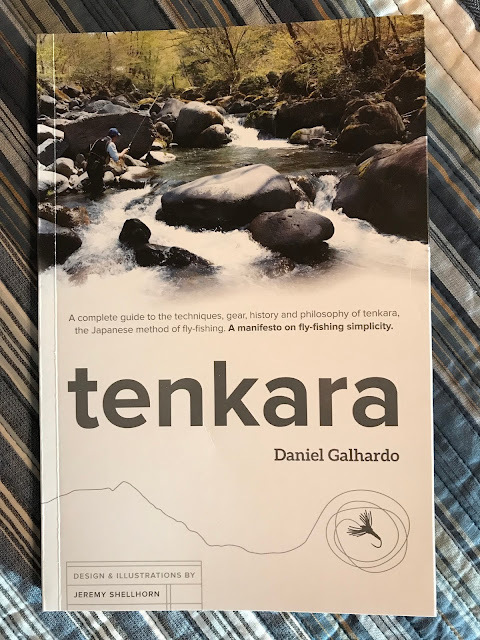 It is a great read and packed full of knowledge, techniques and history regarding tenkara that anyone who has anything to do with tenkara outside of Japan should buy this book, and support Daniel. After all, if it wasn't for Daniel, most of you wouldn't be reading my blog, or have bought that tenkara rod, or be selling those tenkara rods with your name on them, or have ever had as much fun catching fish as you do! Yes, we really owe him that much! Thank you, Daniel, for all you have done for us, and for this labor of love. It is truly a treasure! Hi Tom.Could you please show the Table Of Contents for the book. Thank you....Karl. Hey Tom, Many thanks for the kind words and the review of the book! Really appreciate it. Much thanks Daniel! On Amazon, in the Kendal ordering section, large excerpts of the Book are available to be read under each chapter heading. looks like a great and significant addition to the appeal and knowledge of all things Tenkara.